My buddy is looking at buying a boat and doesn't know exactly what he wants. Will be used for fishing 80% of the time and for taking the family out the rest of the time, Mainly in somewhat big lakes. What are the pros and cons of each. Personally I like Aluminum because they are lighter and I'm used to them. We dont have a real towing vehicle, so weight was a critical factor when we bought our boat....that's why we went for Aluminum. Aluminum for me, probably the biggest factor is weight, not so much for towing but moving the boat around the yard, garage, etc. Then probably for cleaning, pull the plug, pressure wash, done, no washing and waxing required. I never really gave any thought to fibreglass when I bought my Legend. I looked at a ton of boats at the boat show for a few years and only saw what I liked in aluminum. Fibreglass fishing boats were typically larger bass boat styles. As you can see in the picture below, my boat suits many purposes! One thing that I highly recommend is a full windshield which comes in really handy on a rough or cold day. You can always put up the full cover if needed. Really depends on the lake and purpose I think. After fishing Severn Sound for 5 or so years, and totalling 6 props to low water and rocks that came out of "nowhere" I've put my faith in aluminum. Absolutely some dings in the hull, but hey, fishing is a full contact sport, isn't it? launching and landing a lighter , aluminum boat when the conditions aren't perfect is a little easier than glass . i do a lot of solo fishing on smaller lakes so for me tin is the way to go . All of my research pointed to aluminium, for me. The lower towing weight, better mileage, higher resale value, etc. I am FAR from a boat expert,but obviously for my purposes only a small boat will do. When you have to be able to lift it and put in on top of your hardtop tent trailer there really isn't any other choice. But even if I was buying a bigger boat,say up to 20' or 21' I'd still buy an aluminum. The fact that that fiberglass boats can get waterlogged or at least the wood can which would make for a nasty repair. Many newer glass boats have no wood in the construction so that problem is gone, but the fiberglass is still heavier which means you spend more $$$ for a larger motor/gas and you need a more powerful tow vehicle too. In the past there were major differences in hull design and the glass had performance and production advantages (was easy to mold etc. ), but now with the hydroforming there are some pretty neat looking aluminum hulls out there. You'd think they were glass. Now the weight that is a disadvantage to fiberglass is also an advantage as far as getting tossed around in the waves,wind etc. It's also a better cushion/insulator for noise (slapping waves) as well as temperature. So for comfort the glass boat wins I guess, but as far as expenses all the way around aluminum seems like the better choice to me. Keep in mind that I'm cheap (by necessity). If you have way too much or have less attchment to your money the fiberglass boat and big tow vehicle (and all the bills that go with that) might be the way to go. Thanks for the tips guys! He just joined this board so hopefully he is reading all this. Depends entirely on the planned use. I had a 25 foot Searay glass boat i/o I didn`t trailer it. docked and stored for the winter at a marina near the island area of Lake Erie. Great boat for that purpose, heavy, handled rough water well and I didn`t get wet. Not as nimble as a smaller glass boat like a bass boat, but safer for a family on big water. Sold it and got a 17 foot aluminum, again great boat for the intended purpose. It also saw Lake Erie and a lot of other waters. Easy to trailer, nimble, easier to repair, store. 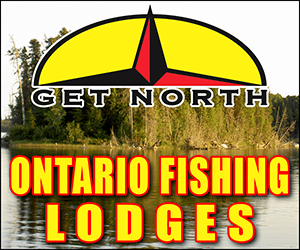 Safe as long as you pay attention on the water, know when to go, when to stay home or fish small water. The Searay was like a weekend cabin I could fish out of, the smaller boat a cabin was rented and I fished out of the boat. But fiberglass boats tend to ride smoother and can take bigger water well. Its a close race between the two and depending on where and how you intent to use the boat would be a big deciding factor. Both are stucturally good but fiberglass needs more attention in cleaning, waxing etc aluminum boats are being built now to look like fiberglass boats but tend to be lighter and need less horse power to push them both are good boats and each has its strenghts and equally weakness. If you'll just be fishing small lakes then aluminum is fine. If you are fishing big water then fiberglass is the way to go. Last year I switched from fishing the small inland lakes to Lake St. Clair, Detroit River, & Lake Erie. I fished with several guys from another fishing site in an 18 foot Lund & an 18 foot Ranger walleye boat & I'll take the Ranger over the Lund. The ride in the Ranger was 10 times smoother & drier than the Lund. I liked the inside layout out of the Lund better but the ride is what sold me on the Ranger. I'm in the market for a new boat & I've found very little weight differences between fiberglass & aluminum boats of the same size. I've been looking at the Alumacraft Tournament 185 (1680#), Ranger 1860 Angler (1750#), & Stratos 385XF (1890#). The Ranger & Statos are 3 inches longer & 1-2 inches wider, have a deeper inside dept & rated for a higher HP. 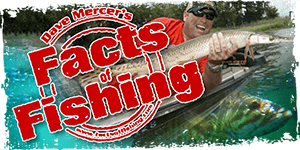 If you do go with aluminum stay away from welded boats if you'll be on big water. I know 3 guys that had cracked hulls in their welded aluminum boats last year while riding on Lake St. Clair (Lowe, Crestliner, Tracker boats).